Pssst! Wanna make some extra money? BetterHair.org is a BRAND NEW company with BRAND NEW "HIGH-END" PREMIUM PRODUCTS FOR HAIR, SKIN & NAILS. All our products are ALL-NATURAL and are developed by Expert Natural Product Formulators. Your Customers and Clients will LOVE them and by promoting them, you could make some nice extra money! Read this page. 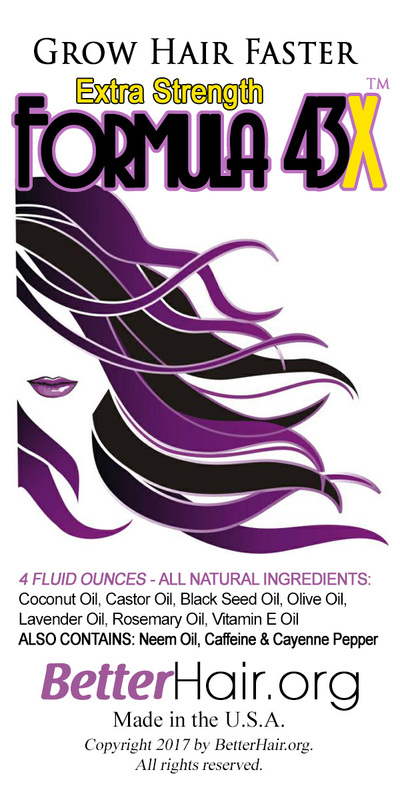 Watch the video to find out why we chose "Grow Hair Faster" as our first product. Then APPLY to become a Retailer. There are some very specific reasons why we have Regular and and Extra Strength versions of our Formula 43. How Much Extra Money Could You Make? If you are approved as a Retailer, you'll get our products at the Wholesale Discount Prices of 50% Off. So for every $1 you invest in Inventory, you would make $2 in Revenue. So if you invest the minimum in inventory of $300, your revenue would be $600. If you have any questions, please email to: service@betterhair.org. CLICK HERE to see a list of Our Other Products that are COMING SOON! When you are approved as a Retailer, we will put you on our "Find a Retailer" map so that people who come to our website can find you and come to your location to buy our products.